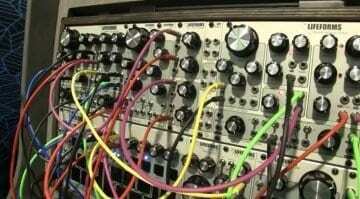 First glimpse of the Pittsburgh Modular microvolt 3900. It has some interesting features like wave-folding, low-pass gate and a function generator. 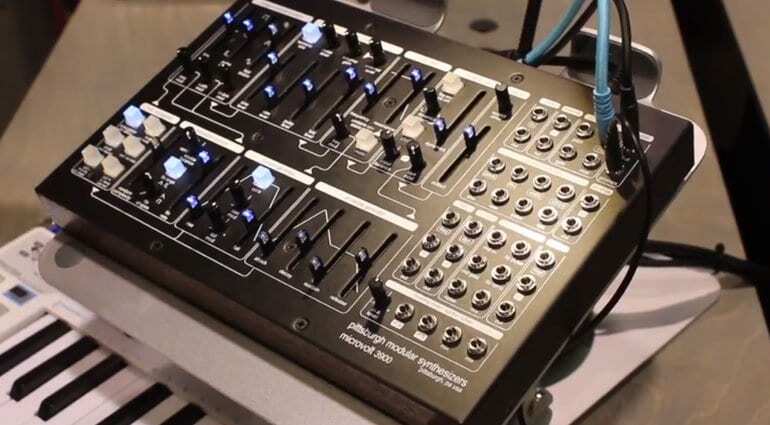 The microvolt 3900 is a desktop analogue monophonic synthesizer. It contains a number of their favourite circuits and some newly refined ones. It has an analogue oscillator pretuned to play nice with MIDI controllers. Wave folding offers a whole slew of interesting harmonics. 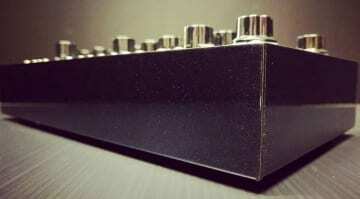 A mixer lets you blend waveforms along with an external input which also has a gain knob and distortion possibilities. The sine wave output has a halfway rectifier switch for even more harmonics. 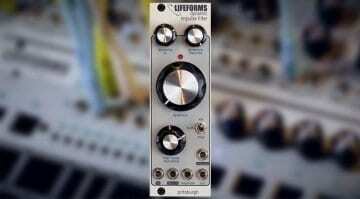 The “Binary” filter is a state-variable filter with 2 resonance modes to switch between butter and grime. Rounding it off is the Dynamic VCA which is a VCA and Low-Pass Gate in one unit. 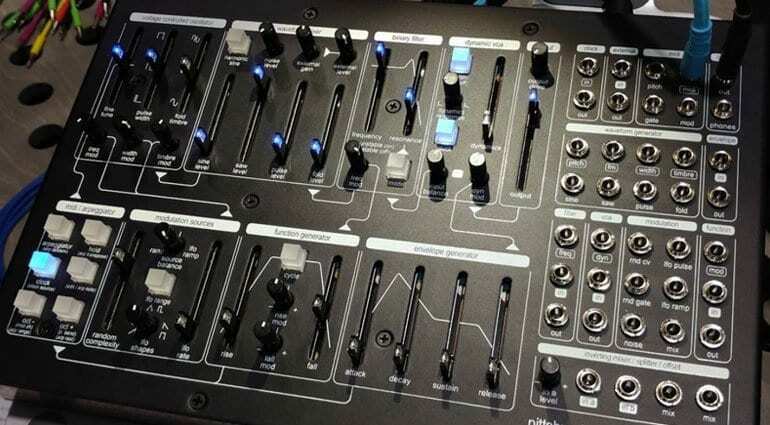 It has two modes, one as a standard VCA and the other is LPG mode where you can start plucking your sounds. It is all pre-patched for instant playability but over on the right are 39 patch sockets to get you right into the signal and control path. The bottom half is all about modulation. A full ADSR envelope sits next to a function generator which can self-cycle (a genius thing to include) and a dual LFO with Sample&Hold. 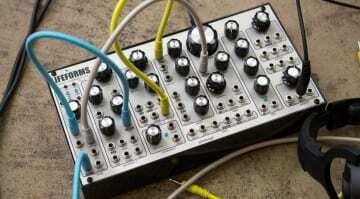 It has the look of a Dreadbox synth about it and in a really nice way. I love LED sliders and Pittsburgh blue ones are completely enticing. I really like the selection of more unusual features which is really going to make it stand out in the crowded monosynth market. It’s smaller than you’d think, although not Eurorack sized. My only disappointment is the slightly too small knobs, and maybe it could have had a delay? The micro 3900 should be available in April for $629.